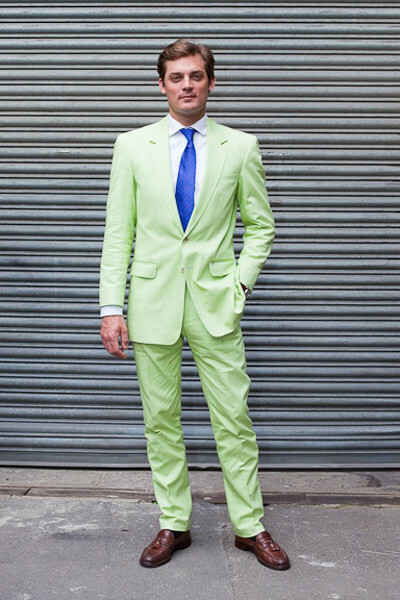 An electric lime green lightweight cotton from Harrisons of Edinburgh and made by Henry Herbert Tailors – trying to bring some colour to this very grey English summer! See also: cotton, Edinburgh, Harrisons, Henry Herbert, Henry Herbert Tailors, lightweight cotton, lime. Bespoke Summer Suits by Henry Herbert Bespoke Tailors, London. Henry Herbert Tailors make bespoke suits and bespoke shirts. Treat yourself to some colour this summer!